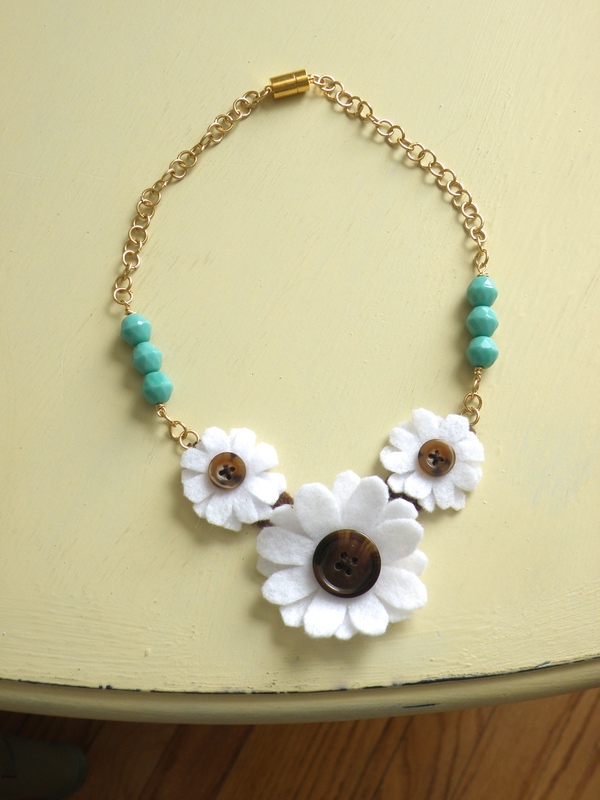 This necklace holds such a soft spot in my heart. It’s one of the first things I made after I started up the Littlest Friend, and it has taken me forever to put it in the shop. 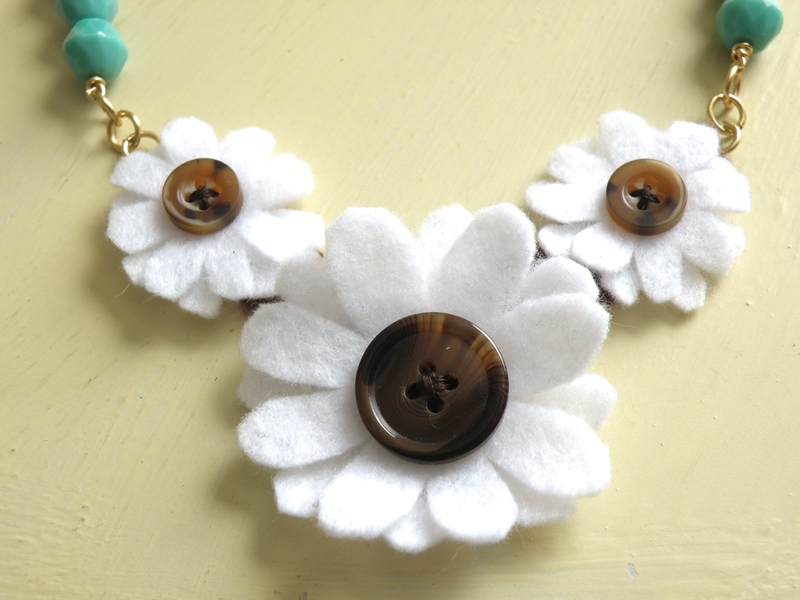 I think the timing is partly because the use of felt in jewelry is so different from what I usually make. I love how when I look over this piece, it reminds me so much of my recent journey back into jewelry making. When I moved to Seattle, my mom bought me this felt fox kit from a fabric store in the city– one from Heidi Boyd, who has really cute, easy to follow designs by the way– as a fun break from a more left-brain job. 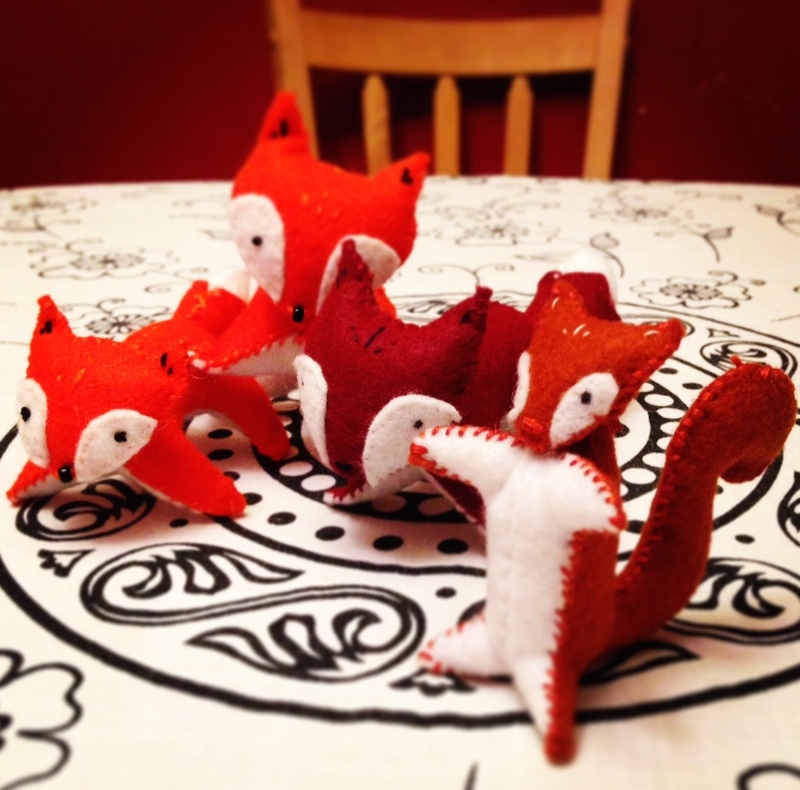 After I put these foxes together, I was totally hooked, and bought a ton of felt to make more foxes and other animals I designed. One weekend on a whim, I decided to get some supplies to try an ear cuff design I had seen on Pinterest. After that project, I fell back in love with making jewelry. I had grown up making all sorts of necklaces and bracelets, typically from sea shells and plastic beads, until I finally took a jewelry class in high school. I absolutely loved it, and tried to keep up with jewelry making in some form or fashion all through college. Once graduate school came around, I put art on the back burner, since school basically took up all of my brain space. It’s been such a blast to finally fall back into jewelry, as it’s one of those activities that fills me up, and this necklace reminds me of finding that joy again. Since I had a lot of felt from previous projects, I decided to try and integrate it into a piece of jewelry. And this necklace is what happened. My favorite aspect of this necklace is its uniqueness. 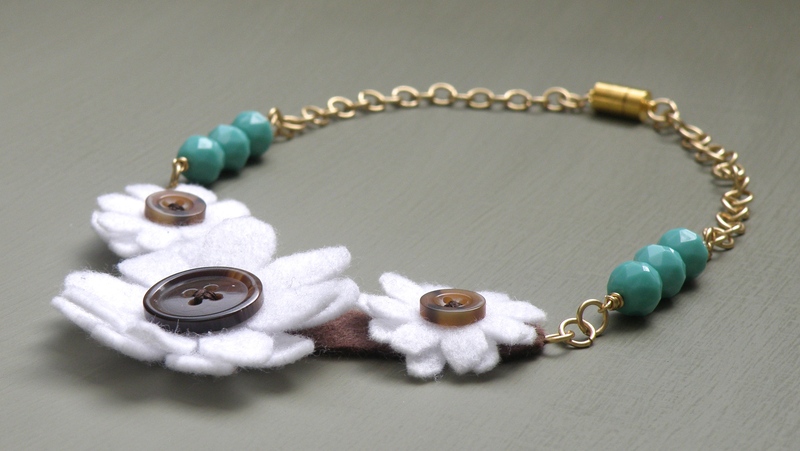 There are so many different textures and materials involved in this fun, unconventional necklace– beads, metal, buttons, felt, and thread– which makes it all the more unique. 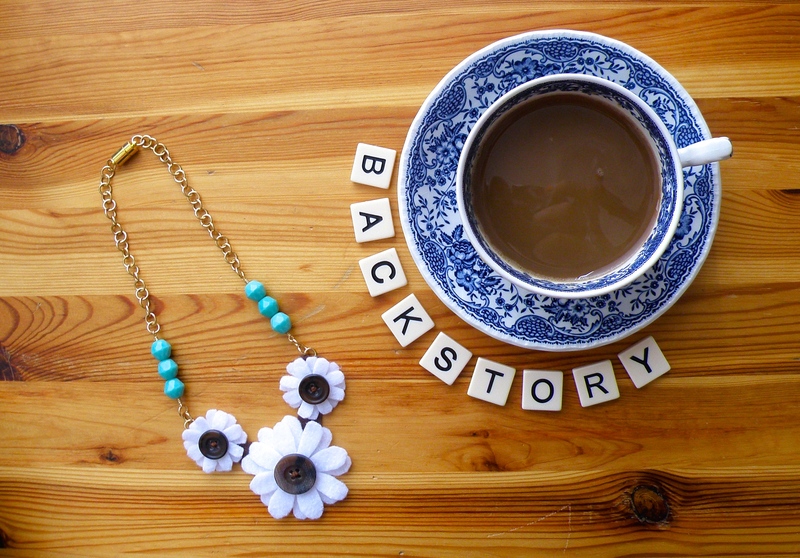 Thanks for stopping by and checking out my latest backstory! Stop by the shop to see this design, as well as another with red beads. P.S. 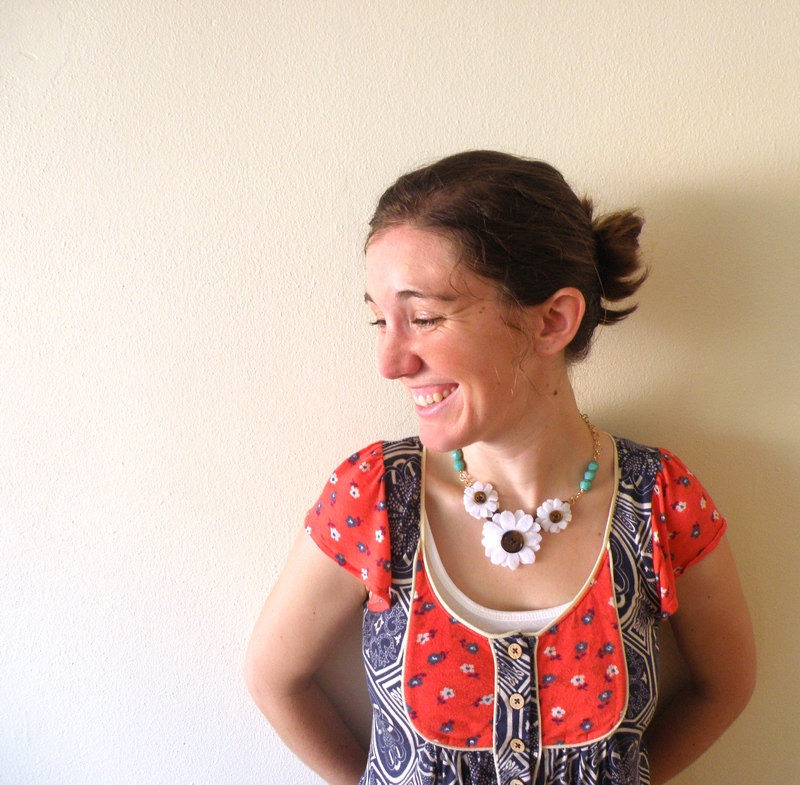 Thanks so much to my dear friend Becky for the shot of me with my necklace.